Tag Archives: Clifton Collins Jr. 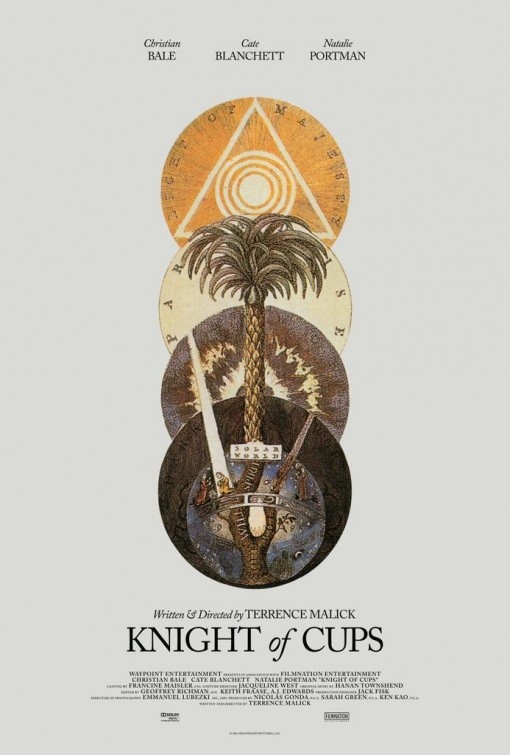 Cast: Chiwetel Ejiofor, Casey Affleck, Anthony Mackie, Woody Harrelson, Aaron Paul, Kate Winslet, Gal Gadot, Norman Reedus, Teresa Palmer, Michael Kenneth Williams, Clifton Collins Jr.
Michael (Chiwetel Ejiofor) used to be in the special forces, but now he works as a private contractor. And currently he’s been contracted by Irina (Kate Winslet) who runs the Russian mob in Atlanta. Although Michael is not particularly happy with his assignment, she forces his hand to pull off an impossible heist. Together with his crew, a mix of dirty cops and professional criminals, they realize that the only chance they have to pull it off is if they kill a cop as a distraction for their heist. But things don’t go as planned. 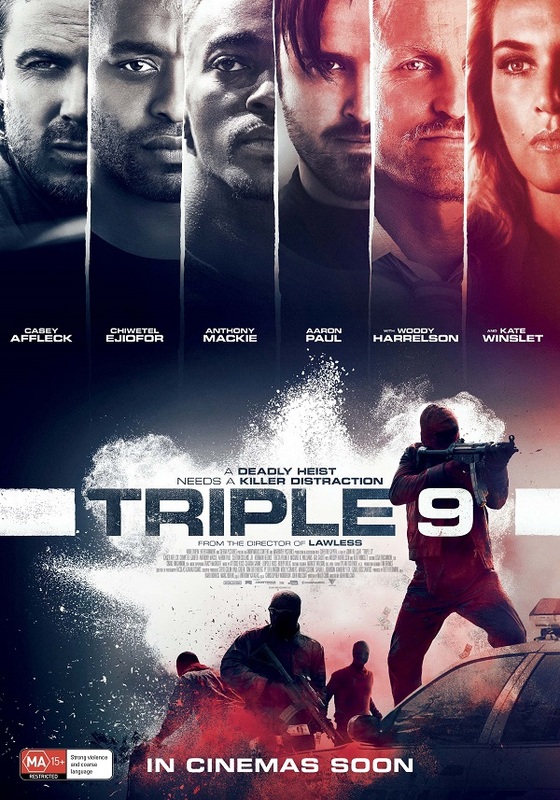 Triple 9 was one of the quietest releases ever, especially considering cast and crew involved in the film. After having seen it, though, it seems pretty clear that they simply didn’t want to waste any more money on a movie that fails in almost everything. Julia (Jessica Cook) has recently taken over her father’s catering business and is on her way to the first bigger client with her employee Paul (Matt O’Leary). Things start off well, the hostess Mrs Perch (Eve Slatner) seems happy, her grandson Sydney (Clifton Collins Jr.) is a little weird but jovial, the party gets going nicely. But then a swarm of wasps invades and they are not regular wasps. Within a short amount of time, there is only a handful survivors who have to stand agains 3m tall wasps. 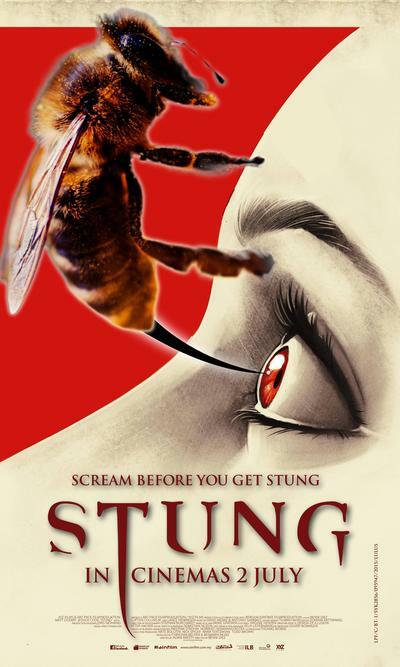 I expected Stung to be in the same vein as Arachnophobia and after having so much fun with The Pack’s stupidity, I was really in the mood for a trashy film. But unfortunately Stung was completely disappointing and pretty boring. 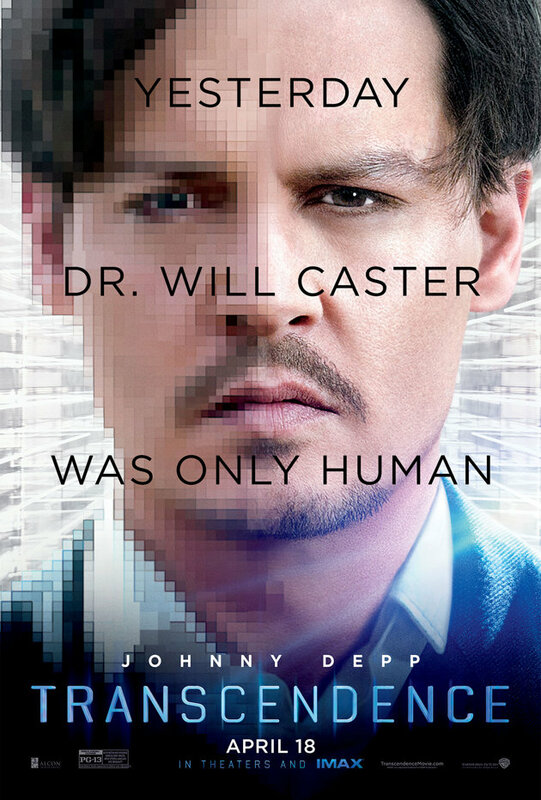 Will (Johnny Depp) and Evelyn (Rebecca Hall) are computer scientists working on A.I.s. When Will gets very sick, Evelyn enlists the help of Max (Paul Bettany) to try and scan Will’s brain activity and upload it and with it him to their system to try and save his life that way. Against all odds, the experiment is a success but Will doesn’t seem to be quite himself anymore. From the trailer I was pretty damn certain that Transcendence wouldn’t be the most positive film about technology out there. But I thought that at least it would be entertaining. But unfortunately it was boring. So boring I fell asleep for a bit during the showdown. Lawrence (Clifton Collins Jr.) is part of the Augustine Interfaith Order of Hellbound Saints, a special order of priests from various faiths who have one thing in common: they sin regularly – which makes them uniquely suited to do exorcisms. But they have gotten a bit lazy and their sin-count is continuously going down. Which couldn’t come at a worse time. 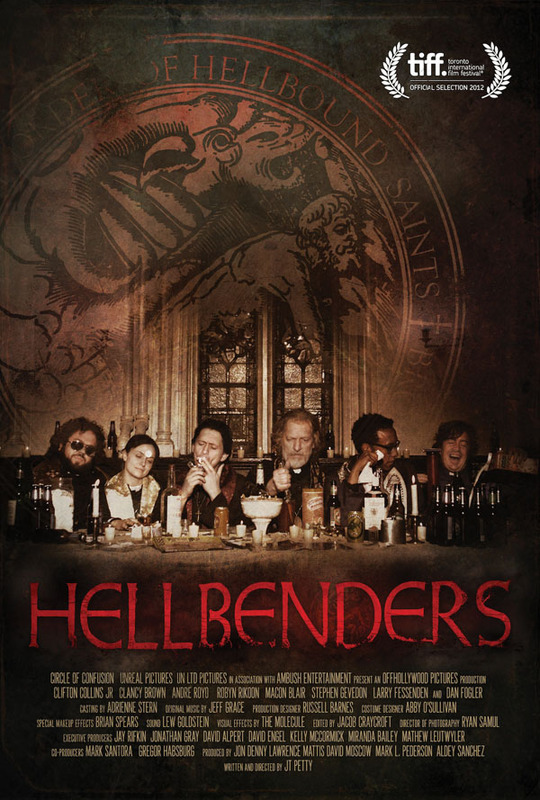 Hellbenders promised to be blasphemous and fun. Unfortunately it didn’t work for me at all. It was way too dumb and boring. Parker (Jason Statham) is a professional criminal and he’s good at his job. After the successful robbery of the Ohio State Fair, the crew he works with sets him up, though. Leaving him for dead, they take off with his share to fund the next heist. But Parker survives and decides to go after them. He finds out that they are in Palm Beach and with the help of real estate agent Leslie (Jennifer Lopez), finds their hiding place. And then he goes after them. 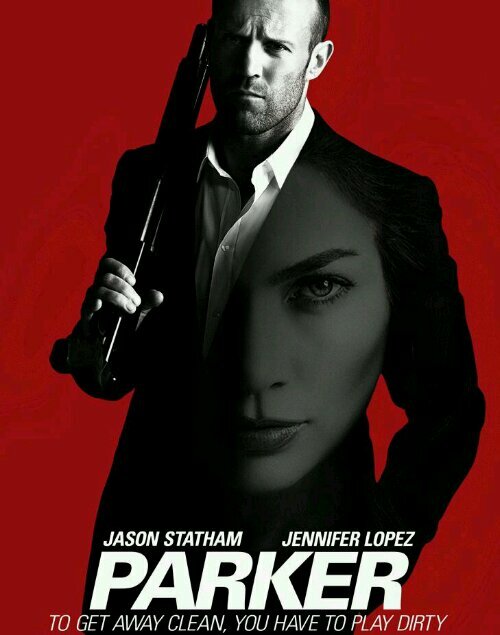 Parker is pretty much exactly what you expect from a Jason Statham film. Which means that it’s fun, entertaining and a little dumb. What surprised me about it, though, was that it’s pretty gory and that Jennifer Lopez what actually pretty good. Sunshine Cleaning is a movie by Christine Jeffs, starring Amy Adams, Emily Blunt and Alan Arkin. Rose (Amy Adams) is a single mum who works as a cleaning lady. When her lover Mac (Steve Zahn), a policeman, tells her about the money that’s in crime scene clean-ups, Rose convinces her sister Norah (Emily Blunt) that this would be the perfect opportunity to make some money. Leaving her son in the care of her father (Alan Arkin), who is a freelance salesman, Rose and Norah get to it – with the help of cleaning supplies shop owner Winston (Clifton Collins Jr.). Sunshine Cleaning is a really sweet comedy with great characters (and with some dark bits) . It’s one of those movies that got no marketing to speak of and it really didn’t deserve it. If you happen to catch it (and you should try to) you get a wonderful story about two sisters finding their place in life.